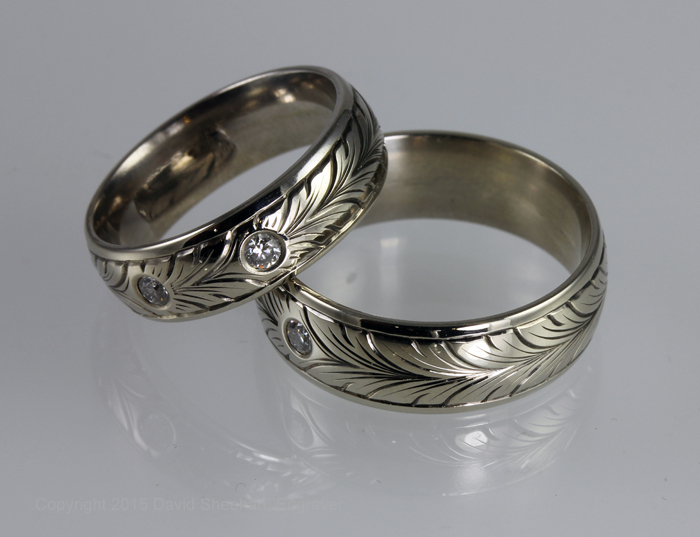 I hand engraved this matching set of rings from 14K solid white gold comfort fit bands. 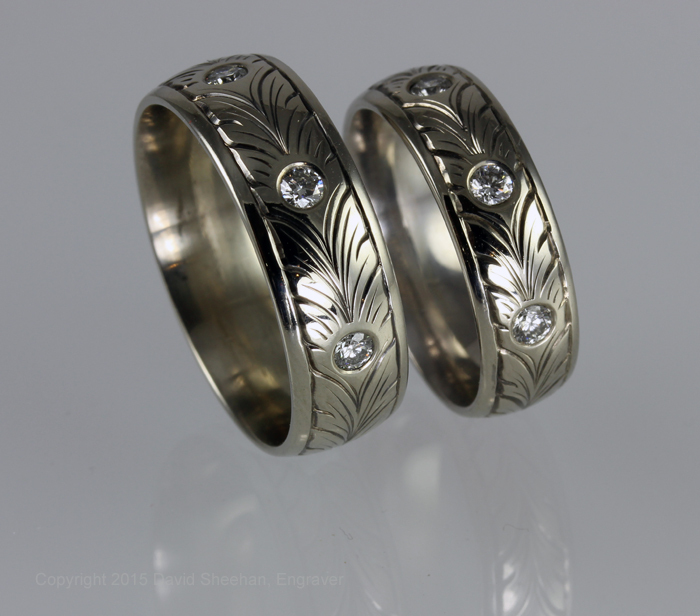 Each ring features 3 flush set 2.5 mm quality grade VS diamonds. 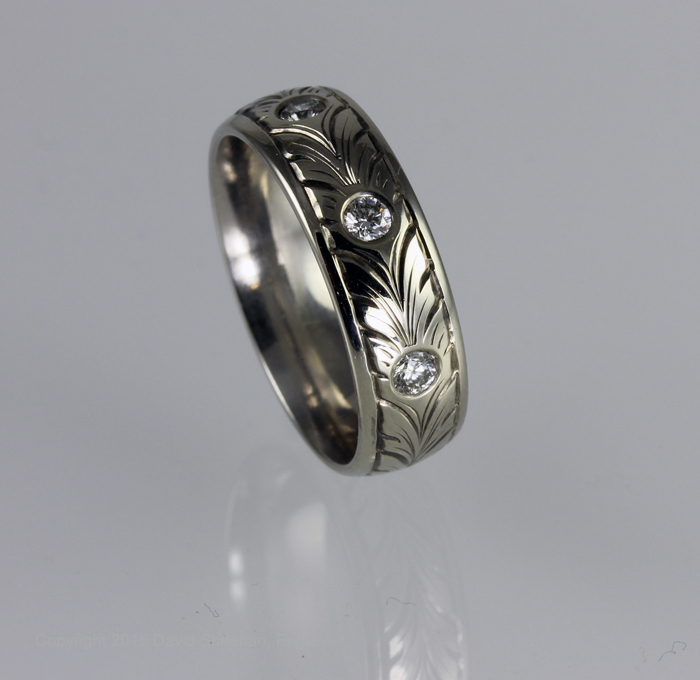 The continuous running leaf design symbolizes unending love. 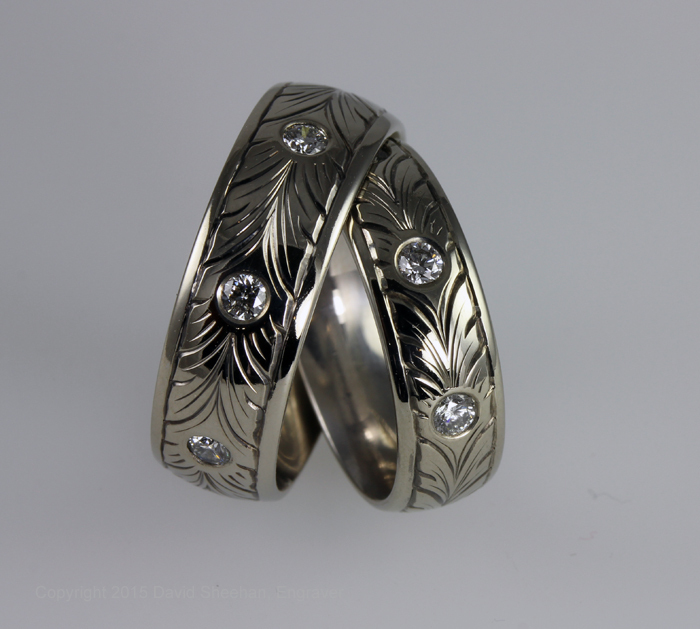 This elegant matching wedding band set will bring the couple lots of nice compliments!